Barack Obama pressed the start button on the first new construction of nuclear reactors in a generation today, announcing US$8.3 billion in loan guarantees for the company building two. Obama, in a visit to a job training centre in Maryland, said the loan guarantees to the energy giant, Southern Company, would help launch the first wave of construction of new reactors in nearly 30 years as well as advance his energy and climate agenda. The loans would commit the US government to repaying Southern’s loans if the company defaults. The guarantees cover some 70% of the estimated $8.8 billion cost of building the two new reactors at the company’s Vogtle plant, which is east of Atlanta. White House officials said today’s announcement reinforced Obama’s pledge in his state of the union address last month to expand America’s use of nuclear energy and to open up offshore drilling. Obama has also asked Congress in his budget request to triple loan guarantees for the nuclear industry to $54 billion from the current $18.5 billion. Obama’s pledge to the nuclear industry was seen as part of a strategy to win Republican support for a climate and energy bill that has stalled in the Senate. Expanding America’s reliance on nuclear power – which currently supplies about 20% of electricity – is one of the few elements of Obama’s energy and climate agenda to win broad-based support. A number of Republican senators have demanded Obama help fund the construction of 100 new nuclear plants over the next decade. Lindsey Graham, the Republican who is working closely with Democrats to draft a compromise cap and trade bill, is also on board with a greater role for nuclear power. His state, South Carolina, gets nearly half of its electricity from nuclear power. The administration is also stuck on a solution for nuclear waste, after shutting down plans to bury the waste in the Yucca Mountain range in Nevada. The administration last month set up a panel to recommend new waste disposal solution. The Southern projects must still win licensing approval. White House officials said the new reactors could come on line by 2016 or 2017, and would generate 2.2GW. Construction alone would create 3,500 jobs, and the plant itself would create 800 operations jobs. The loan guarantees announced today are the first of some $18.5bn in funding originally approved by Congress in 2005. Steven Chu, the energy secretary, said the loans were the first of “at least half a dozen, probably more” loans for new nuclear reactor construction. “We have a lot of projects in the pipeline,” he told reporters, but did not indicate a time for further announcements. Chu also disputed a report from the Congressional Budget Office that put the risk of default on loans to the nuclear industry as high as 50%. “We are looking at ways to increase ways of building these projects on time and on budget,” he said. This article was originally published on guardian.co.uk on 16 February 2010. I guess it depends on where you live, but with a half-life of a few thousand years, I don’t think it matters where or how deep you bury it. A thousand years is a long time for borders to change, political upheaval, you name it…and I wouldn’t count on anyone being able to guarantee the waste will stay where it’s put. I’m from Chicago (http://www.chicagotribune.com/features/green/chi-nuclear-waste-11-mar11,0,971797.story), and Illinois has the greatest number of nuclear plants of any state (http://www.nrc.gov/info-finder/reactor/) , some very close to our primary water source, Lake Michigan. Moving the waste anywhere would be dangerous, leaving it there is dangerous…seems like the only answer is wishing it weren’t there at all. And making more of it is not going to help. On top of this, to make nuclear the new standard, and then deny it to developing nations, akin to a global embargo, is completely unsustainable and a recipe for war. Either dedicate yourself to the prospect of every country going nuclear, with both energy and weapons capabilities, or find another solution. I don’t want to fear-monger, but this is dangerous stuff and best not to put on the shoulders of future generations. The oil will run out and we’ll either live on less or find an alternative.. This ain’t it. Uneasy is a good word to put my feelings about offshore drilling and nuclear waste. But the important comment Obama makes is that these decisions about energy and climate can’t be stalled, and he needs Republican support. If this moves the energy bill, its a good political compromise. In response to Jamie, I believe the technical waste problem is largely solved in the experts’ opinions, its just having the public accept it that has been unsuccessful. Acceptability may change in the next 15 or 20 years when climate change costs become more tangible..
I’m uneasy about having a proliferation of nuclear power plants, but I’m even more unnerved by the continued reliance on fossil fuels in America and worldwide. The most critical need is to dramatically reduce consumption needs for energy, not only for things we plug in, but also for the “low power” devices relying on batteries, which require tremendous energy from the mining, of course, as well as the cleanup of used and oxidized batteries. But before we can really find ways as a global society to reduce overall needs for energy, we need now stopgap solutions that provide for expanding energy requirements. I want to utilize renewable and natural energy to every extent possible, but I am not looking forward to having wind turbines next door, solar panels covering the surface area of everything in sight, or some orbiting solar farm beaming microwave energy to a harvesting station. Not only do I believe that these are inadequate to fuel our current addiction to power, but I find these “solutions” highly undesirable. Nuclear power, for me, is a difficult, but unfortunate need. Unless a great many of us can unplug and live without much of what we think of as requirements for living, then energy requirements in our world will continue to grow for some time. I was extremely opposed to nuclear power in the past and continue to oppose nuclear weaponry. But the half life of nuclear material is immeasurably long in comparison to the limited time to critical point for CO2 and greenhouse gas emissions and the sustainability of the human species on this planet. I don’t believe any more in the threat of Armageddon in the sense I believed possible during the Cold War. Rather, I believe that the real Armageddon is a slow, deliberate, and paralytic process of denial, rather than action. People who do not think, see, believe, and take action to ensure greater quality of life for future generations of people, who choose not to see that unfairness, unjust practices, denial of productivity, and unsustainable lifestyles are polluting our God-given nature and ourselves are choosing to live in Armageddon. Nuclear is not the answer. But it can buy us some time to develop real solutions. I am also uneasy about nuclear but I don’t know enough about the chance of risk to be strongly for or against it. Then again, I once had dinner with some nuclear and quantum physicists (through a random connection) and was intrigued to find that, they too, had mixed feelings about the merits of nuclear. My gut feeling is that the human race, on form, would not be capable of dealing with nuclear waste, unless there is a dollar to be made. But what I find really intriguing is this: governments are willing to commit to long term and very costly investments in risky technologies like nuclear, but drag their feet endlessly when it comes to the idea of smaller, medium term and non-risky investments into solar, wind etc. The double standard is palpable. I understand that initial uneasiness shouldn’t preclude the passing of an important bill. If the bill had some safeguards requiring nuclear plants to invest a sizeable portion of profits into waste disposal (rather than requiring outside parties to do so), similar to cap-and-trade policies, it might be worth considering… but that’s never gonna happen. 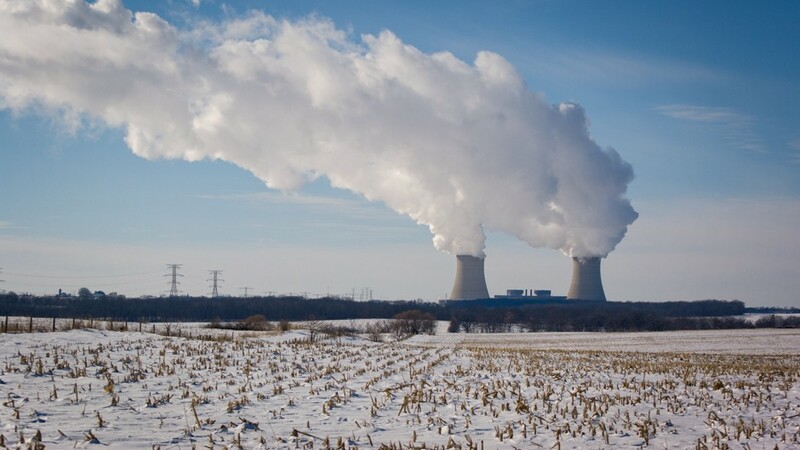 The initial starting costs and seemingly easy, (CO2) waste-free energy pull of nuclear lobbyists is enough to provide a perfect political storm of endless subsidies. Furthermore, a bill with a cap-and-trade or polluter pays principle on nuclear waste wouldn’t apply as well as it does to other companies, because quite simply, the science isn’t there to deal with the waste. Darek, I’d be interested in reading any links that show how the “technical waste problem is largely solved in the experts’ opinions” –on non-partisan sites if you could, and excluding any practices that (again, 50 year’s later) are still in the R&D stages. In terms of transport, fail-safe options and anyone who can really predict what will happen on the global stage in the next 100 years, let alone the next millennia, there isn’t much consensus on what to do with what’s buried at our feet. The nuclear lobby is powerful in the U.S., and to say nuclear would be a temporary stepping-stone leading to advances in renewable energies is disingenuous. The easy, initial benefits seen in nuclear power would effectively put a stop to the current push in creativity and funding for increases in efficacy of renewable energies. It would undermine those efforts, and though you may think govt. funded scientists can dust themselves off and pull themselves up by their own breaches, you’d be wrong. The private sector is not going to be able to pull off any real gains in renewables without public and federal support to give them a foot in the door…and nuclear will effectively close that door. Endorsing nuclear, even uneasily, elevates the stance of its lobbyists to proclaim it as the new energy standard. If you are ok with its standard use everywhere, globally, no exclusions, and sincerely believe that some global body can police its safe use in the future, then I uneasily understand your position.